Please read the conference review as published on the Eastern Diocese Website. In today’s day and age, when evil forces vigorously wage war against the fundamentals of Christianity by giving people false hope through materialism and secularism, the most vulnerable victims of this warfare are the youth. Television programs and social networks bombard young people with images of celebrities and politicians, who proudly live immoral lives and preach messages that go against all of the teachings of the Holy Church. But despite all of these horrors, there are still those among the youth who try not to succumb to the temptations of this world, and for this reason the Russian Church Abroad hosts the annual St. Herman’s Youth Conference during the traditional winter recess during the Gregorian Calendar feast of the Nativity of our Lord. On December 22-26, a group of approximately 75 high school- and college-aged Orthodox Christians gathered in Long Island to continue this tradition. "Our society is departing further and further from its Christian underpinnings in the face of forces which are, if not outright anti-Church, at the very least unhelpful," said Priest Viatcheslav Davidenko (cleric of Holy Trinity Church in Toronto, Canada). "Here the youth can fortify their faith and receive a dose of immunity." For over thirty years, youth have been gathering together in spiritual retreat every December to glorify the memory of the first Orthodox missionary to America – St. Herman of Alaska, whose memory is celebrated on December 25th. The St. Herman’s Youth Conferences have usually been organized in various parishes throughout the Eastern American and Canadian Dioceses until recently, when the Mid-American and Western American Dioceses began hosting similar conferences in an effort to attract more young people. 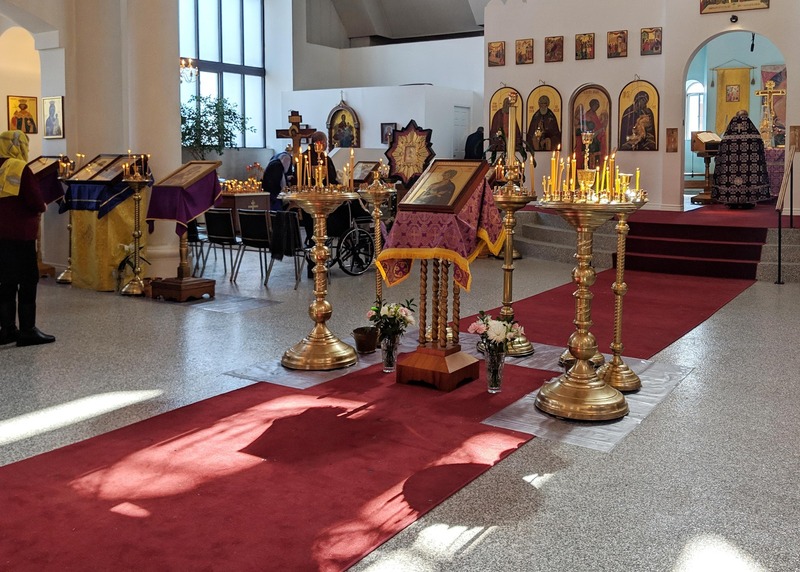 This year, the Eastern St. Herman’s Conference was jointly hosted by St. Seraphim Memorial Church in Sea Cliff, NY and Holy Virgin Intercession Church in Glen Cove, NY. This 2013 conference program included lectures by world-renowned homilist and spiritual author Archpriest Andrei Tkachev (rector of St. Luke of Crimea Church in Kiev, Ukraine) and Archpriest Anastasy Yatrelis (rector of Sts. 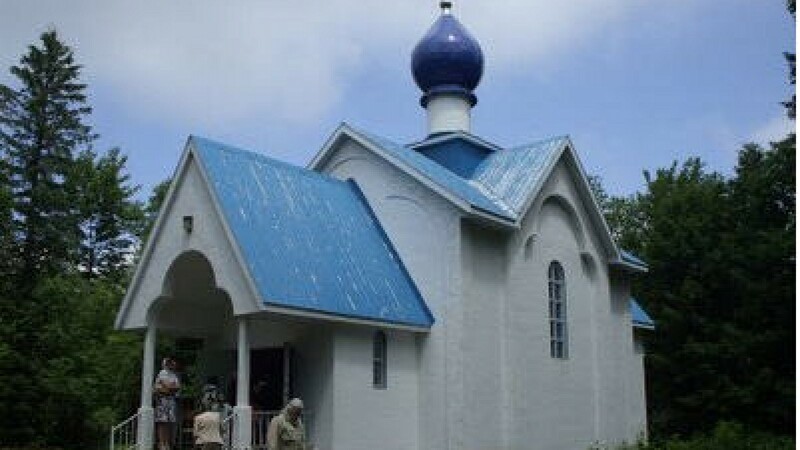 Cyril & Methodius Church in Summerville, SC), various workshops, question and answer sessions, social activities like caroling and a talent show and, of course, the divine services for the feast of St. Herman. "The goal of these conferences is to give the youth an opportunity to spend their winter break together, instead of attending other functions and parties," said Archbishop Gabriel of Montreal & Canada, who led the conference. "We want to give them something spiritual through lectures, question and answer periods, and workshops, during which they are able to express themselves and ask questions of the clergy." This type of interaction between young people and the clergy is perhaps one of the most important aspects of these conferences. Approximately ten clerics from the Eastern American and Canadian Dioceses took time off from their busy schedules to participate in the conference as speakers, confessors, and simply friends to the youth. "They not only run the official parts of the conference, but try to talk to us on everyday topics. You get the impression that there’s nothing off-limits," said Vladimir Soukharev from Toronto. During the meals and between lectures, the clergy would mingle with the youth and even share in edifying jokes with them. "Jokes often allow for more open discussion," explained Soukharev. "They try to support our jokes and we support theirs, and when we do this, we create an atmosphere of absolutely non-formal interaction." While it may seem strange that clerics would joke around with the youth, this type of interaction ultimately leads to something more: "We joke together today and the youth get that, ‘Yes, I can approach him,’ and tomorrow, they’ll approach batushka with more serious life problems." Archpriest George Lagodich from Montreal is one of the clerics who participated in the conference, and believes that spending time with the youth benefits him just as much as it does them. "When you are able to influence a young person’s life in a way that allows them to grow up and live a normal life in today’s crazy world, it gives you a feeling of satisfaction that you just cannot put into words. It goes beyond being a pastor – it’s the opportunity to do something for someone else." With no formal boundaries between the clergy and youth, one might expect that the workshops would be mundane, but this was certainly not the case at this year’s conference. "The topics are relevant to what you’re going through and the discussions are certainly not boring – they make sense," explained Xenia Jarostchuk from Boston. Conference participants were given an opportunity to submit questions on pieces of paper, which were distributed to the clergy who had set time limits during which they could offer answers. In the words of Soukharev, the answers were phenomenal: "I thought that answers would be limited to ‘Yes or No,’ but they had allotted time, say three minutes, and this was often not enough to accommodate their entire answers." While the questions ranged from liturgical to practical issues, the main emphasis was on living a healthy spiritual life in today’s world. "We live in a world where people are always trying to find their ‘inner peace’ and find what ‘makes them happy,’ but here we have a chance to get answers to these questions from an Orthodox perspective and they make so much sense," said Jarostchuk. While many of their peers are vacationing on the beach or at ski resorts, the participants of St. Herman’s Conference chose to spend their winter break in a spiritual environment. To the average American college student, this would seem rather strange and even uncool. So what is it about these conferences that young people find so attractive? "This is my sixth year going to one of these conferences and it is absolutely cool to go to St. Herman’s," said Jarostchuk. Soukharev explained, "You can just relax at the beach, but here we can better understand ourselves and get acquainted with other young people. This is something you can’t miss." Xenia Jarostchuk admitted that, when she first started coming to St. Herman’s Conference, it was because she wanted to be with her friends and not because she was particularly concerned with its spiritual benefits. "But then I found out how nice it was to meet with people from all over the world who had similar interests, and we started to bond on a spiritual and social level." When asked to give an example of these shared interests, she spoke about the awkward moment when her peers invited her to a party on a Saturday night. "It’s hard to justify how I want to live a normal college life, but at the same time, I know that I have to go to church. It’s hard to discuss things like that with people who are not Orthodox. But when you come here, you can have discussions with people who know what it’s like to be an American 20-year-old, but at the same time be an Orthodox Christian." Fr. George echoed these remarks, saying, "These conferences offer something that the rest of the world cannot give our youth – the ability to make Orthodox friends. They show me that there is hope for our youth in this world." St. Herman’s Conference not only restores hope for the youth, but also for older generations, who are counting on them to one day lead the Church. "Young people are our future. This is not some tired cliché; these are truly the people who, God willing, will one day bid us our final farewell. And we would like them to do so according to all the traditions of our Orthodox Faith," said Fr. Viatcheslav. Archbishop Gabriel explained succinctly when he said, "If we don’t care for the youth of our Church, we won’t have a future." The key to a bright future for the Church is promoting healthy marriages between Orthodox men and women, so that their children can be raised under the auspices of the Church. St. Herman’s Conference not only provides the youth with access to clergy, but also allows them to meet potential spouses. In his capacity as a mentor to the youth, Archbishop Gabriel recalled the opening remarks of Metropolitan Vitaly at the 1988 St. Herman’s Conference, when he said, "There are 200 of you here today and that means that we want to see 100 marriages within the next five or ten years." Xenia Jarostchuk confirmed that the potential for finding a future spouse is indeed one of the reasons why so many young people attend these conferences – "It’s always a running joke – who is going to be the next couple that will get married?" Performing an Archpastoral visit to the Australian Diocese, the First Hierarch of the Russian Church Abroad, His Eminence, Metropolitan Hilarion, was not able to personally attend the Conference, but sent a greeting to the youth, in which he, too, called upon them to seriously think about their futures, even if their plans do not include marriage. "As the future of our Church, we hope that with God’s help many of you will become priests, deacons, matushkas, choir directors, parish school teachers and perhaps even monastics. But these high callings begin in the heart of every one of us, and we are duty-bound to conscientiously take full advantage of every opportunity we are offered for this purpose." Of all of the different spiritual opportunities which were offered to the youth, the greatest was the ability to unite around the Holy Eucharist. During the All-Night Vigil on December 24th in Holy Virgin Intercession Church, Conference participants were able to confess their sins and subsequently receive Holy Communion at the Divine Liturgy in St. Seraphim Memorial Church the following day. This was the culmination of the four-day Conference, during which the clergy gradually guided the youth toward the Holy Chalice. It is important to note that they were not forced to confess their sins, but rather were encouraged. Fr. George believes that this is approach is the main reason that almost all of the youth received Communion. "When I was younger, I remember people telling me that I had to go to Communion, and so I went because I was told. But as I got older, I started to realize that Holy Communion does something for a person – it changes them. My approach is to try and give the kids hope and to tell them that things will be okay. I try to find the positive in everything, and not just the typical negatives." In their final moments before Communion, the youth were addressed by Fr. Andrei Tkachev, who gave a sermon about the importance of partaking of the Body and Blood of Christ. He explained to them the significance of Communion as the only way of redeeming ourselves from sin, beginning with the first sin of Adam. "Communion is the medicine of immortality. Having sinned through food, through the forbidden fruit, we cannot be saved by any other means than by another food – the blessed fruit. But where is this fruit? It is the blessed fruit of the Virgin Mary’s womb, which through the wood of the Cross became for us the food of immortality. I will share with you three thoughts, which you can have during Communion. If you yourself are communing, then of course you ask, ‘O Lord, be this not unto me for judgment or condemnation.’ But if you are not communing today, you can pray for those who are, and ask that God give them such a Communion, as might heal their souls and fortify their faith. You can also pray for yourself, if you are not communing today, and say, ‘O Lord, how sorrowful it is that I am not approaching You today. Some sin, some sorrow, some care has come between You and me, and I stand with a closed mouth before this Chalice. But, O Lord, I pray You, make it so that I might commune once more without delay and taste of Your divine sweetness.’ But the third thought is the best ‒ you can pray, ‘O Lord, make it so that those who have never communed before might come and commune today.’ There are millions of such people. If you know how good the Lord is and how sweet it is with Him, then you must sorrow for those who do not know it. Let this be your practice – thinking of those who still do not know the Lord!" With so many temptations facing today’s youth, the clergy and organizers of the St. Herman’s Conferences are constantly trying to find new ways of applying the ancient Faith to modern-day Orthodox Christians. This year’s conference was yet another example of the effectiveness of this type of approach. The youth were able to immerse themselves in a spiritual world where they were not scolded or lectured on the fundamentals of Orthodoxy, but rather were gently guided toward the Light of Christ, Who truly illumines all humanity. The itinerary of the visit of the holy and miraculous icon of the Mother of God 'Softener of evil hearts or seven arrows' has changed. Please consult the included document to see the changes made ​​to the schedule. herring, bullion and other traditional goodies!!! Note: Special this year, our cathedral brotherhood prepared and served lunch. The George Sayig Memorial Concert January 27, 2013. A great success, the following is a note from the choir master, Michael Krieger to his singers which very nicely describes how the day transpired. Dear Saint Nicholas Cathedrals choristers! Congratulations to all for today's performance. I wish to thank you one and all for your efforts, work, time and dedication. This was quite an endeavour! There was a particularly high level of anxiety, with many people sick, coughing, all being very busy with lots of work. In short, lots of reasons not to do a concert. But, the feelings which followed the concert, the sentiment of relief, of accomplishment, reaction from the public, the warmth and emotion felt at the reception - all this together created a wonderful celebration which answered the question: why do a concert? I wish to thank singers from SS Peter & Paul cathedral in Montreal who took part in the concert. Also a special thank you to singers from Ottawa who drove down for the dress rehearsal yesterday and who sang with us today. I wish to thank soloist Anna-Maria Popescu who graciously accepted to take to the stage with us. A special thank you to all spectators who came to listen to us and who, through their attention and love for Russian Orthodox sacred music, supported our cause. I do need to underline all efforts which took place behind the scenes, without which such a concert would not be possible. All printed material - posters, programs, affiches, music binders - are the work of Peter Paganuzzi. Thank you so much. All advertising, press releases, interviews, ads on radios and newspapers, ticket sales - is the work of Maria Ignatow-Bandrauk. Spectators will not simply show up at the doors of the concert hall. One has to invite them, encourage them, convince them. This requires a lot of tireless work and perseverence, after which one has to hope that concert day will not be ruined by a snowstorm. Thank you so much to Manya for her selfless work. Thank you so much to matushka Sasha for her help in sending out and e-mailing material, announcements and invitations. Finally, I wish to thank the Sisterhood of St.Nicholas Cathedral for the wonderful reception. It allows singers and parishioners to meet together, relax, congratulate each other, exchange impressions, and have a good time.